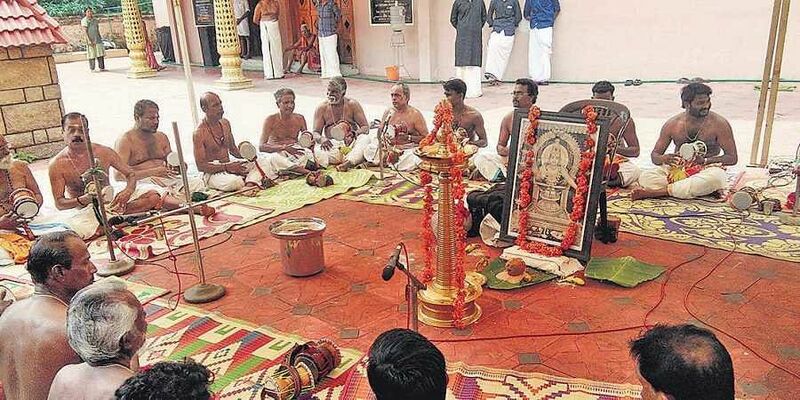 While the devotees across the country fight for the protection of traditions at Sabarimala temple, the ‘Sasthampattu’ artists joined in by performing at the temple on Saturday. THRISSUR: While the devotees across the country fight for the protection of traditions at Sabarimala temple, the ‘Sasthampattu’ artists joined in by performing at the temple on Saturday. The Kerala Festival Coordination Committee organised a protest meet with thousands of devotees marching and chanting prayers at Thekkinkad Maidan. As part of the protest march, around 500 Sasthampattu artists took part in raising their voice to protect their beliefs.